Cops are great about rallying around great causes and supporting one another. Two weeks ago, I attended a benefit breakfast sponsored by some of my fellow officers to raise funds for an officer who was diagnosed with brain cancer. I’m guessing somewhere around 1,000 people showed up to raise nearly $5,500 in just a few hours. We’re still asking you to join us in praying for Nathan Rogers, that God would heal him and draw him closer in faith. Support, encouragement, and prayer for one another really are key characteristics of Christian community. Combined with gifts, which are a tangible expression of our love, these offerings of love become the visible expression of Christ’s love to the world. We become His hands and feet. Through our ministry, several years ago you helped us raise over $1,800 to help an officer’s family travel back to New York to visit the officer’s mother who was dying of cancer. She died shortly after the visit, but had the opportunity to see her son and newborn granddaughter first. Their family will forever cherish that visit. In November, you gave nearly $2,000 to assist a high school senior named Gabby who is an undocumented immigrant, brought to the United States as an infant by a family member who ultimately neglected her. Gabby, who is pursuing a Criminal Justice degree and a career in the Navy, is now well on her way to citizenship, and will be attending college in the Fall. Through the relationship that has been developed and the support we have offered, I have “earned the right to be heard.” Gabby and I have had many conversations about faith. She has read much of the Bible I gave her. Her high school senior project was about the effects of prison ministry on recidivism. God is working! In May, we assisted a church in Colorado as they hosted a law enforcement appreciation day. I was able to advise the pastor, provide resources, and donate door prizes. Last month, your giving supported a Deputy’s son who is raising money for children being treated by St. Jude’s Hospital. We purchased two police ride-on motorcycles that the children are sure to enjoy. Throughout the past year, we have mailed ministry packets, auto decals, and other resources to officers all over the country. We have supported ministry conferences, given door prizes, and so much more. As you see on the attached “Pay it Forward” banner, we have received countless testimonies and words of appreciation for how our ministry is making an impact. We currently have over 3,800 fans on our Facebook page. Our community, our reach, our ministry is growing! Our mission of promoting faith and solidarity among Christian law enforcement officers and sharing the Gospel with those who are not yet believers is being accomplished. And we still need your support! 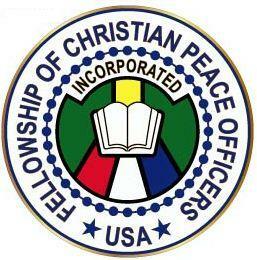 This October, I will be speaking at the Fellowship of Christian Peace Officers (FCPO) annual national conference in Chattanooga, TN. Then, in November, I will be joining Badge of Hope Ministries to speak at their marriage conference in Union, MO. I would like to sponsor officers from those areas so that they can attend. They will be exposed to our ministry. They will meet other Christian cops. They will encounter Jesus. I would also like to mail out hundreds more ministry packets to cops around the country. And I need your support! I’m asking for at least 100 people who will give $25 or more to support our ministry efforts in the upcoming year. Can I count on you? Give today like you’ll need us tomorrow…”Pay it Forward” by clicking HERE to give your best tax-deductible gift today, or for more information, visit our support page at www.donate.CoveredLawEnforcement.org. As always, thank you for your ongoing support, prayers, and encouragement. Please let me know if we may assist you in any way. This entry was posted in General and tagged christian cops, Covered Law Enforcement, fundraising campaign, pay it forward, police ministry. Bookmark the permalink.